Dear Colleagues: The Medical Society is hosting a “Celebrate the Season Social” on Tuesday, November 28th at Studio 817 in Sacramento where we will also recognize our volunteer physicians. 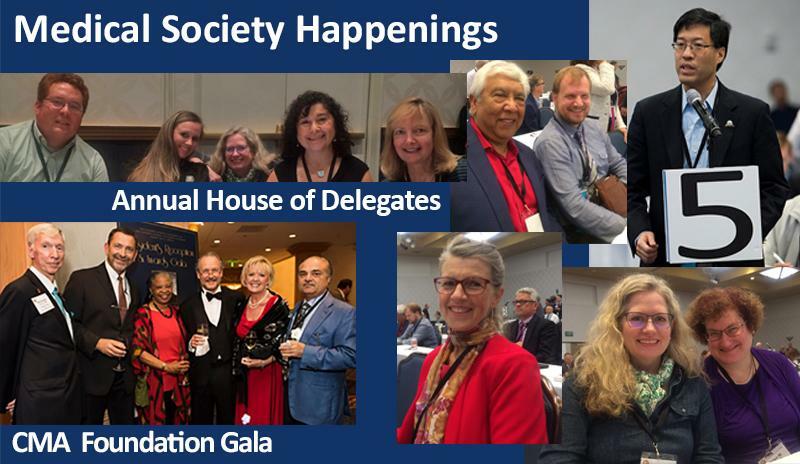 From the Board of Directors, to committee members, the museum docents, and our SPIRIT physicians, we are grateful to all members who volunteer their time and expertise to advocate on behalf of physicians and patients. The event is almost full, please RSVP here. I hope to see you all there! As always, let me know what your medical society can do for you, radams@ssvms.org. Time to join or renew your SSVMS membership for 2018! Click here to renew and pay online, or contact Megan Sharpe at msharpe@ssvms.org or (916) 452-2671. CMA Webinars are free for members. Click here to explore on-demand webinars. Do You Know What, When and How to Report Child Abuse? For more information on volunteering or making a tax deductible donation to SSVMS' community programs, click here. The OPSC member discount has been extended to members of SSVMS/CMA use code CMA17.